Each year, the Super Bowl in the United States is one of the most bet on sporting events in the world and determines the NFL champion for that season. Millions around the globe gather around to watch the biggest American football betting event of the year and this year, the title game is expected to receive around ₱314,958,000,000 in betting action. For the Philippines, the Super Bowl 53 matchup between the New England Patriots and the Los Angeles Rams will kick off at 7:30 a.m. GMT on Monday morning, February 4, 2019, and the game will decide the NFL champion for the 2018 season. And if you’re looking to bet pesos on the game, then we’ve got you covered with the best legal betting sites available for Filipinos to wager on this year’s Super Bowl. Can I legally bet pesos on the Super Bowl in the Philippines? Yes. Filipinos who are age 18 and over can bet on the Super Bowl when using a legally licensed offshore betting site. Locally, MegaSportsWorld (MSW) is a legal wagering option to residents of the Philippines, but due to the lack of odds, lines, and prop bets for the Super Bowl, NFL handicappers always choose the online sportsbooks. The betting sites found below are all legal, safe, and your best bet when wagering on Super Bowl LIII. There is perhaps no sporting event in the world that receives more betting lines than the Super Bowl, and this year’s big game is no different with literally hundreds of possible bets that can be placed. For NFL betting, there are several types of bets you should know about for Super Bowl 53. The betting line that receives the most action for the Super Bowl each year is unquestionably the point spread and as you can see here, the Patriots are 2.5-point favorites, which means they must win the game by 3 or more points for you to win your bet. A bet on the Rams means they can win the game by any margin or lose by no more than 2 points. The money line is an outright bet on which team will win with no margin factored into the bet. The numbers indicated here are the odds and determine the payout. Betting on the Patriots needs 138 units to win 100 and a bet on the Rams needs 100 units to win 118. The Patriots have lesser payout because they are favorites and are more likely to win. With an over/under bet, the bet is placed on whether the total number of points scored will go over or under the number set by the sportsbook. For this game, the total is currently 56.5, so win a bet on the over, the combined score needs to be 57 points or higher and to win a bet on the under, the combined score needs to be 56 points or lower. The last set of odds for Super Bowl 53 is the over/under on points scored by either the Patriots or Rams. Instead of the combined points like the previous section, a bet here is specifically on the team you choose and since the game is expected to be close, both teams have the over/under at 29.5 points. Proposition Bets or “prop bets” are wagers on how likely something is to occur and is not related to the final score of the game. And for the Super Bowl, online sportsbooks go all out and offer prop bets on pretty much anything. 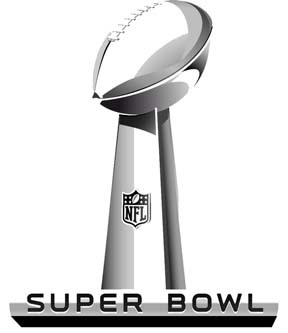 The “novelty” props are wagers on unique things related to the game, and for Super Bowl, you can bet on odds like the coin toss, length of the United States national anthem, the color of the Gatorade poured on the winning coach, the number of songs played at the halftime show, which commercial will be shown first, and many more! Game props are based on likely something will happen by either team during the game and consist of odds like how many touchdowns a team scores, how many field goals a team makes, which team will have more rushing yards, and hundreds more. If you enjoy team stats, then these props are for you. If you prefer to wager on player performance, then the Super Bowl unquestionably offers the most lines out of any sporting event. Every player and every stat relating to that player can be bet on for the big game. If you like diving deep into statistics for individual players, then look no further than the Super Bowl player props. Want to bet on Super Bowl odds in real-time? Well, thanks to live betting from the online sportsbooks we recommend, you can bet on both teams and all the players on every single play. And the best part is that you can do all your live in-game betting right from your smartphone! They say it’s never too early to place your bet, and wagering on next year’s Super Bowl winner is no exception when it comes to betting on futures. If you think you know who will win Super Bowl 54 in 2020, then those odds will be available immediately after Super Bowl 53 ends. Whether you’re betting on any of the odds or simply want to watch the big game, here’s every you need to know about Super Bowl 53 if you live in the Philippines!